Akit's Complaint Department: TransLink to be Renamed "Clipper"
Today is the TransLink management group meeting at the MTC (Metropolitan Transportation Commission) headquarters at 1PM and a piece of new information was released a few days ago as part of today's agenda. The Executive Director, Steve Heminger wrote a memorandum to the TransLink management group of changing the name of TransLink to something more unique. Mr. Heminger asked his MTC staff of what name should be used, and they recommended to the TransLink managers to call the program "Clipper" and suggests to transition to this new name in mid-2010. 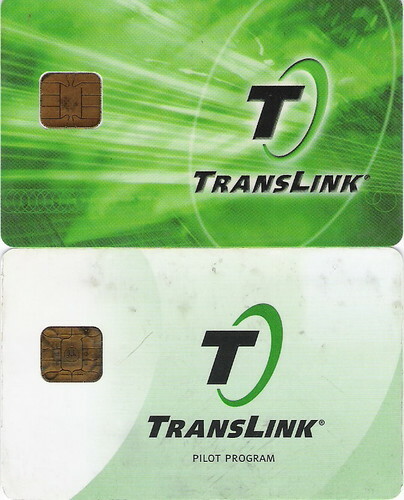 The reason why the MTC suggested "Clipper" is because the name TransLink is used by transit agencies around the world, including Australia, Northern Ireland, British Columbia (Vancouver, Canada), and England. For our electronic pass system to be unique, it requires a unique name that doesn't confuse people that our program is different than others around the world. Another reason why "Clipper" was chosen is due to San Francisco's maritime history with clipper ships, and is currently a popular attraction to view historical ships around the Wharf. The TransLink management group will view the new logos and the MTC "will recommend approval to the MTC's Operations Committee of both the new name and a change order..."
To view the memorandum of the brand name change, click here (PDF document). TransLink has successfully automated the web based add value process to have all requests processed within 24-hours, and also automated the history report process. Samtrans installation of Translink is nearly completed. TransLink has put out a proposal to upgrade the memory on existing equipment on vehicles, however I've already noticed upgrades on Muni's vehicles (there's a white sticker on the right side of the readers). Muni and TransLink is considering placing the new pilot program for seniors and disabled customers who are allowed to access BART for the price of a fast pass, as well as the lifeline program on the TransLink card. Approximately 90 Muni vehicles will need some re-work. While no details are provided, it looks like it could be equipment or wiring causing problems. The most interesting news is that Golden Gate Ferry is considering to purchase automated gate equipment with TransLink technology to automate the process to board ferries. Basically, their plan is to remove staff from taking tickets and possibly selling tickets, and take advantage of automated gates to only accept TransLink and "limited use" cards for entry to the waiting area. Other ferry agencies around the nation does similar programs where the gate accurately counts how many people are to board the ferry and locks the gates when it reaches maximum capacity. For more information about the meeting today and all the documents, click here for the agenda.